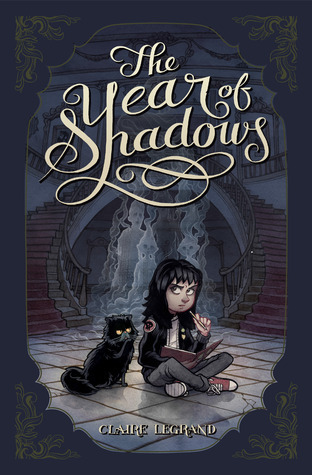 Today I'm excited to welcome Claire Legrand to celebrate her new book The Year of Shadows! 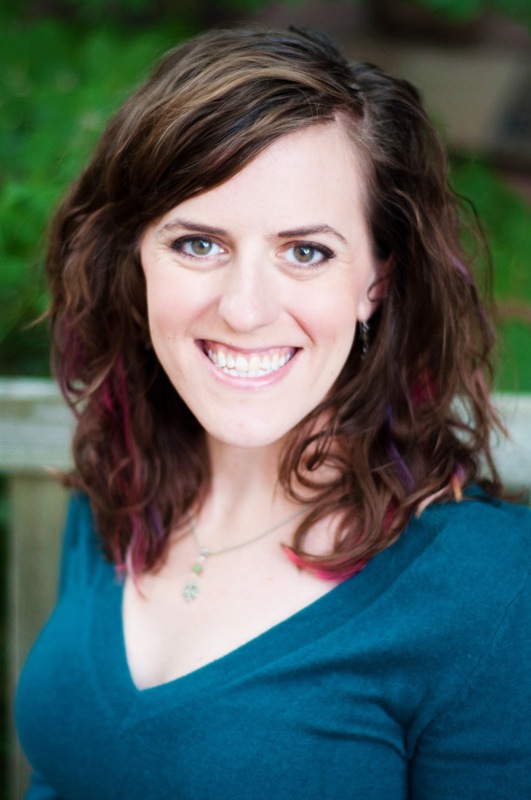 She has insight to share about her planning and inspiration! A lot of authors make “inspiration boards” for their projects—collages of images, art, even knick-knacks and music, that help them develop a book’s tone. I’m no different! I spent a lot of time on Tumblr and Pinterest finding images that captured the atmosphere I wanted readers to feel when reading The Year of Shadows. I wanted that atmosphere to feel, well, shadowy—full of darkness and light, shifting icy breezes between bursts of warmth, danger and sadness ultimately giving way to hope. Below, you can find some of the images that make up my Year of Shadows virtual inspiration board, with commentary explaining why I chose certain images and how they helped me craft the story. Please note that credit was given when I could find it. The Year of Shadows is on its surface a ghost story, and the ideas of death and loss hang heavily in protagonist Olivia’s mind, so I curated many eerie images to help me establish this sense of uncertainty and fear. Notice how these images are black and white. I thought this was an accurate way to represent both a) the ghosts, and their inbetween state (between The World of the Living and The World of the Dead) and also b) Olivia’s bleak outlook on her life at the beginning of the novel. The primary setting of The Year of Shadows is Emerson Hall, the symphony hall in Olivia’s city. Her father works here, conducting the City Philharmonic. At the beginning of the story, Olivia and her family move into the backstage rooms of the Hall because they have sold their home and most of their belongings—all in an attempt to save the failing orchestra. Olivia has fond memories of this place—she’s spent much of her life there—but can’t recall these happy thoughts at the beginning of the story. She is too horrified at having to live there, in a drab room with old instruments and broken music stands. Emerson Hall was once beautiful, but it has fallen into disrepair, especially after the recent financial crisis (Olivia, who doesn’t understand much about that, calls it simply “The Economy”). The Hall is heavy with age and memories and former grandeur—and, as Olivia will soon find out, with ghosts. The above image is of the Morton H. Meyerson Symphony Center in Dallas, Texas, home of the Dallas Symphony Orchestra. I grew up not far outside of Dallas and have attended many concerts at the Meyerson. As you can see, it’s a gorgeous space—a bit more modern than Emerson Hall in The Year of Shadows, but invoking a similar sense of awe. It was in this space that, while attending a concert, I imagined a girl and her cat crawling around backstage, searching for ghosts. Thus, The Year of Shadows was born. The above photo is of a symphony hall in Paris. The lobby of Emerson Hall in The Year of Shadows would have looked something like this in its heyday—ornate ceilings, chandeliers dripping with lights, grand pillars. Of course, during The Year of Shadows, the murals on the ceiling have faded, the carpet is worn through, mirrors are cracked, and fountains no longer function. Emerson Hall is a ghost of its former self. The above photo is of the Bass Performance Hall in Fort Worth, Texas—another concert hall I frequented when I still lived in Texas. In The Year of Shadows, Emerson Hall boasts a similar pair of angels guarding its entrance, but they have been vandalized, spray-painted garish colors. The above image looks something like what I imagine Olivia’s city to look like near the location of Emerson Hall. I love the above image. Olivia spends a lot of time doing just this: Imagining worlds—some beautiful, some terrible—through the drawings in her sketchbook, all while Igor rests comfortably in her lap. And, above, the perfect portrait of Olivia—full of curiosity, wistfulness, longing. Thank you to Claire for sharing her inspiration for The Year of Shadows! Claire is offering a giveaway of a hardcover copy of the book! GoodReads Summary: Olivia Stellatella is having a rough year. Just when she thinks life couldn’t get any weirder, she meets four ghosts who haunt the hall. They need Olivia’s help -- if the hall is torn down, they’ll be stuck as ghosts forever, never able to move on. Olivia has to do the impossible for her shadowy new friends: Save the concert hall. But helping the dead has powerful consequences for the living . . . and soon it’s not just the concert hall that needs saving. What I Think: There seem to be more and more paranormal middle grade books popping up and generally, paranormal or spooky and creepy isn't my thing but I'm starting to expand my understanding and idea of paranormal novels and realizing that there are paranormal books that I enjoy. The Year of Shadows is definitely a book I wholeheartedly recommend. There were definitely some dark and scary parts of this book but I really enjoyed Olivia and her friend, Henry. I felt connected with Olivia from the beginning as she faced difficult circumstances and tried her best to manage her emotions. In looking at The Year of Shadows as a mentor text, I really admired Claire's ability develop the characters, especially Olivia. She's definitely the epitome of a young adolescent and Claire's does a great job of capturing that. In looking back through the book, I think a lot of that comes through with the dialogue between the characters and Olivia's inner dialogue. After taking a course on young adolescent develop over the summer and reading two novels where characters were exhibiting elements of certain stages of young adolescent development, I found that I was recognizing similar aspects in Olivia and Henry, too. I think because the characters do seem to be dealing with typical young adolescent feelings and thoughts and behaviors, it added to the believability of the characters. She is also able to weave in elements of the story and by the end, when she takes the storyline to a totally different level, it didn't feel unnatural or unexpected but at the same time it surprised me. I don't know if every author is able to do this. It really struck me about this book because I had an inkling she was headed a certain direction with the book and then when it happened and it was intense, I was really impressed and emotional as I read. It's really hard to talk about the book without giving it away! I don't want to give anything away! This book is definitely worth reading and savoring though. "'What do you want?' I said. Writing Prompts: Describe a time in your life when you had to deal with strong emotions. What did you do to calm yourself or deal with those emotions?